The landscape Border fence is black powder coated finish and steel construction which combine to offer an elegant and durable fence for several seasons. It links together easily and is self staking for easy set up and folds flat for easy storage. 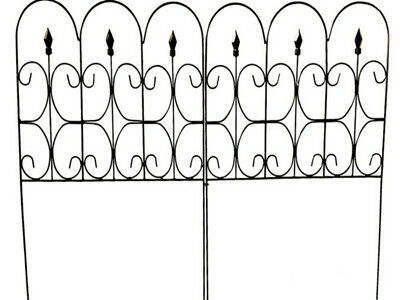 Light scroll work adds delicate detailing, and a finial in the middle of the curves finishes the fence. 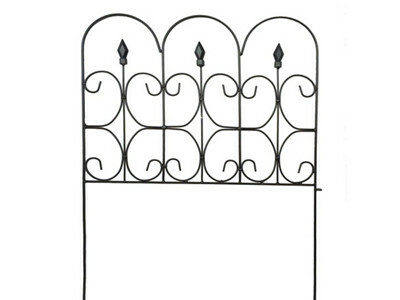 Each section features a hook on one end to join with another section, creating a complete border for any walkway or garden. 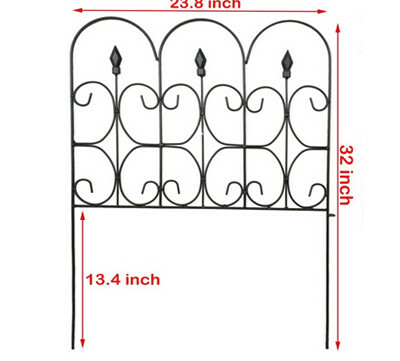 Looking for ideal Steel Border Fence Manufacturer & supplier ? We have a wide selection at great prices to help you get creative. All the Landscape Border Fence are quality guaranteed. We are China Origin Factory of Border Fence for Plants. If you have any question, please feel free to contact us.